After a terrible plane crash, a man and a woman find themselves alone on a remote Polynesian atoll with no choice but to forge some sort of life there. I was at a place in my reading where I was almost desperate for something lighter and simpler to read. Castle of Water came highly recommended by Renee @itsbooktalk. I always like to try debuts. Begins at the Ending – I always like a story that starts with the end as Castle of Water did. In the very first chapter we see a man going to a grave and leaving a bunch of bananas there. It doesn’t take long to realize who that man was, but the question of what he’s doing, and why, lingers throughout the story. As a reader, you know this is where you’ll end up and in this story that worked especially well. Easy to Like Characters – I don’t need to like characters in order to love a book, but it’s always a nice addition when I do. Both Barry and Sophie, our stranded couple, were easy to like. Sophie had a biting quality to her in the beginning, as one would expect after the shock of a plane crash, losing a husband while on her honeymoon, and coming to realize they were truly alone. Barry was a little inept and nerdy. Both grew as individuals and a team as day, after day, after year on the island progressed. 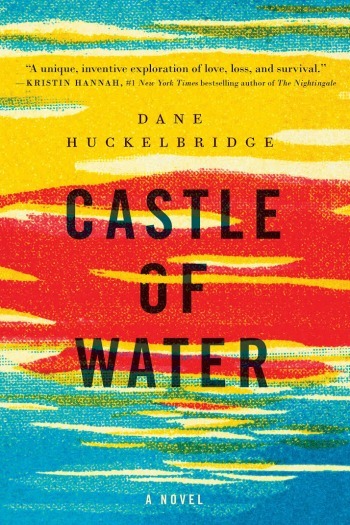 Side Stories That Work – Oftentimes side stories can drag the main storyline down, but in Castle of Water Huckelbridge’s only added to his overall plot. I especially loved a running storyline that had Barry and Sophie alternately telling the other a fictional account of what their life might be like off the island. It highlighted the people they had grown into being. Great Narration – I loved the voice of the narrator in this book. There was just something so mater-of-fact about the way the story was told. I loved that element! A Lot of Unlikely Coincidences – The book did require you to do a little suspending of disbelief. Barry and Sophie benefitted from some unlikely coincidences, like the fact that centuries ago, Polynesians had used their atoll as a stopping place on long journeys. Those Polynesians had conveniently planted coconut and banana trees on the island and had seeded the nearby lagoon with clams. Sophie had had survival training at the feet of her grandfather, and Barry operated a shortwave radio as a child. And the biggest one of all? The one little Bic lighter, after three years it was still working! Lost in Shangri-la by Mitchell Zuckoff – The real-life story of a WWII mission to rescue the survivors of a U.S. military plane crash in a remote corner of the South Pacific. I have this saved in my back pocket for when I need something light (which you know I will!). I love that the ending happens first…books like that tend to work for me and I call the “why” books. The suspense is in the why or how. It’s a perfect read for when there are a lot of distractions because you don’t need to pay that much attention! This sounds fun! I love survival stories, and this sounds like a welcome relief from all the “survival during the apocalypse” stories that we’re faced with. It’s good to put something light but interesting on my TBR list. 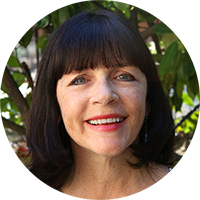 Thanks for the mention Susie! I love that while we had similar thoughts on many parts, we experienced other parts like the beginning differently. I didn’t notice all the coincidences (except the lucky retrieval of the plane’s survival box) until I started reading other’s reviews when I finished. You’re right, it’s easy to breeze by them which is what I did. I did wonder about the ability of the contacts to last that long🤔I agree we do need a sappy love story every once in awhile and I loved this one! It’s funny what different people pick up when reading a book. I’ve missed huge events before. Thanks for pointing me toward Castle of Water. Sappy love story on an island? It sounds a bit like the Blue Lagoon. Remember that movie? Not sure I ever did see the whole thing. But I like light reads mixed in after challenging books! Good pick. Thanks, Susan. Blue Lagoon was so long ago that I remember, but don’t! It’s definitely perfect for light reading. Sounds like a perfect book for a fall weekend. It definitely is. I read it in just over a day. Sounds like a good one. Can’t wait to check it out.